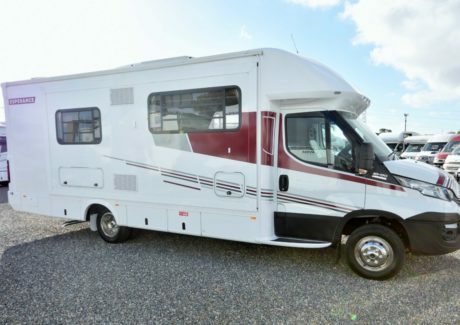 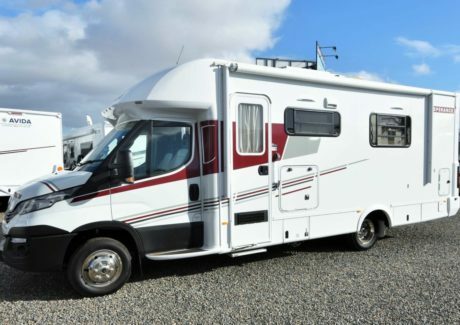 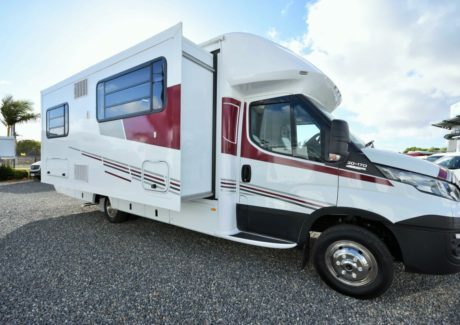 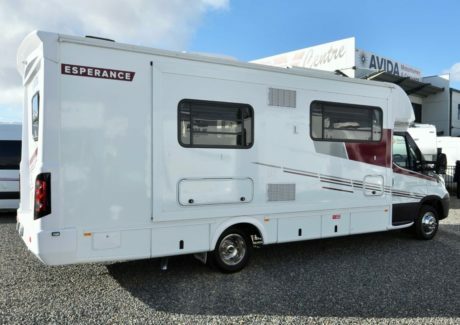 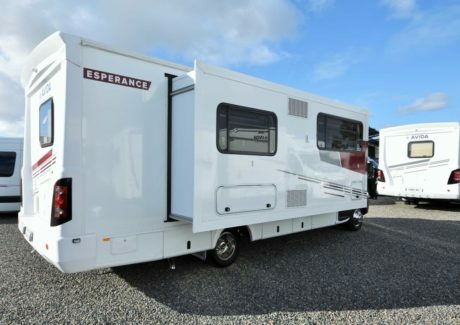 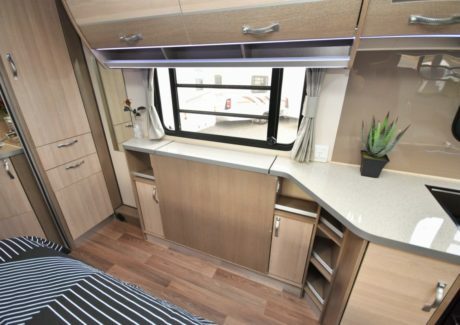 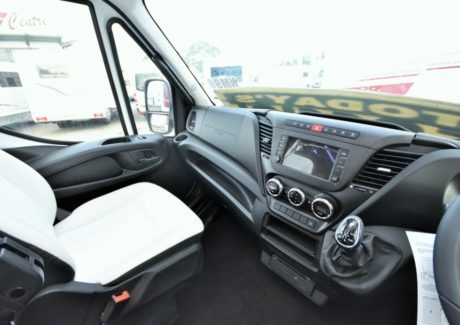 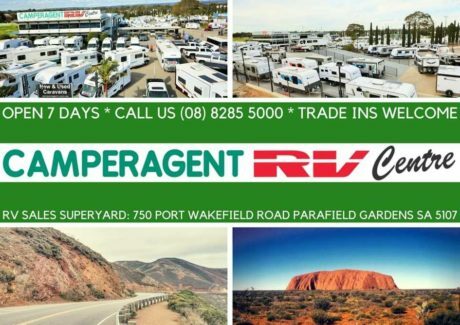 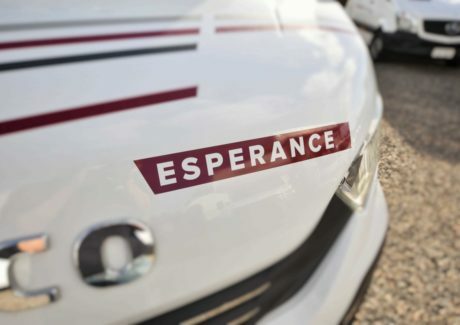 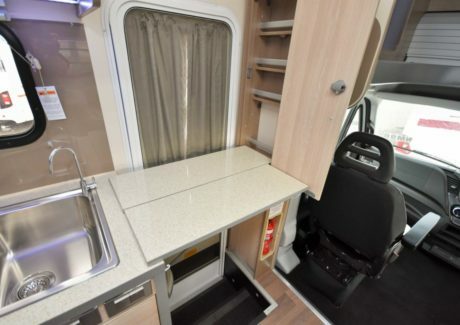 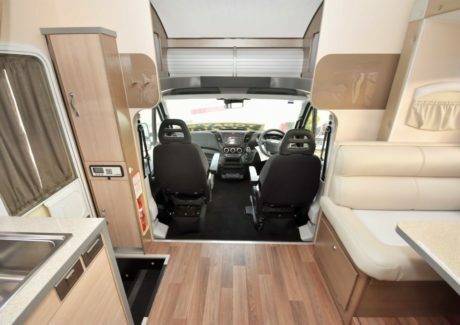 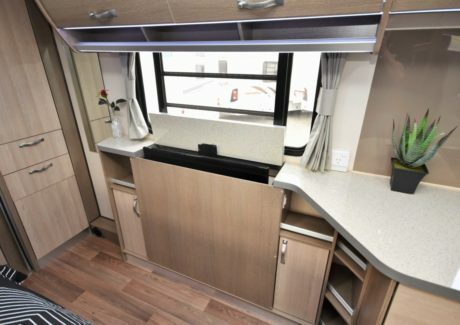 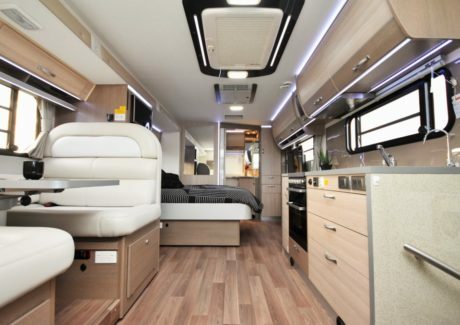 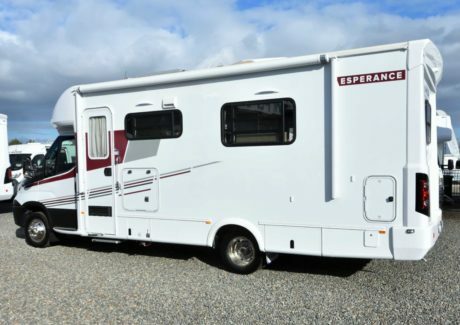 This motorhome is based on the Fiat Ducato with a 2.3 litre 4 cylinder turbo diesel engine with a 6 speed automated transmission that is matched perfectly to the low profile galvanised ALKO motorhome chassis offering a stable extra wide track and greatly increased load carrying capacity. 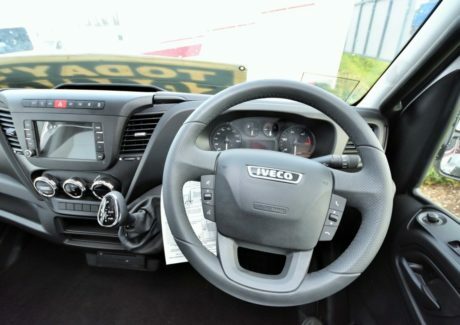 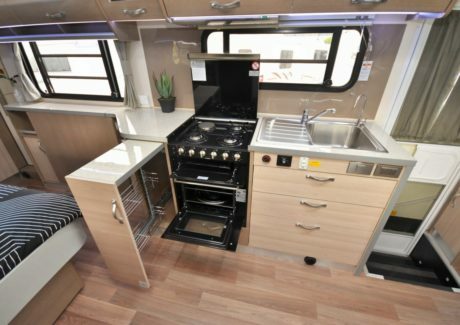 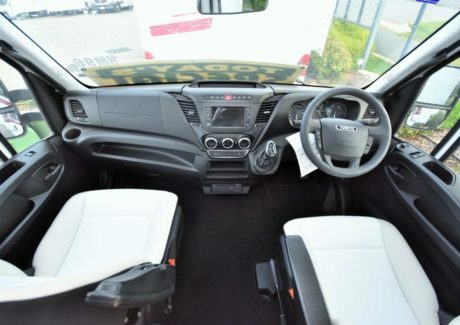 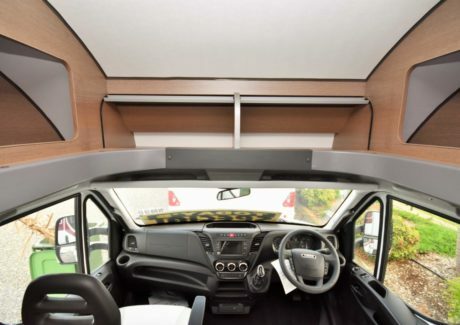 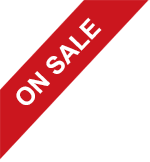 There are so many unique and practical features to be found in the Eyre, features like the amazing amount of storage space both inside and out. 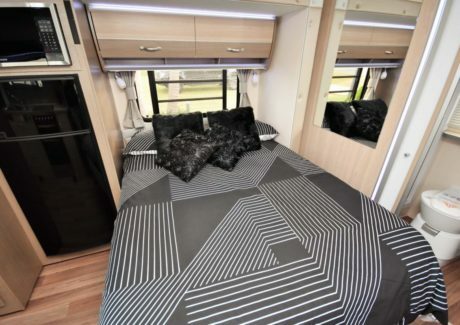 Single beds provide plenty of space for both of you to get up in the night without distrubing your partner and gives you the extra storage area. 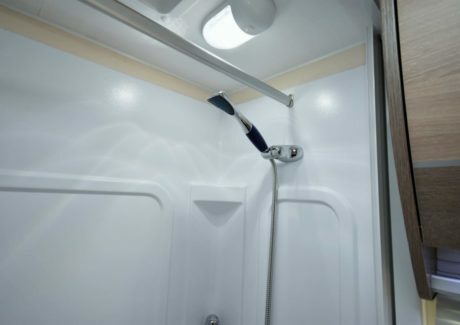 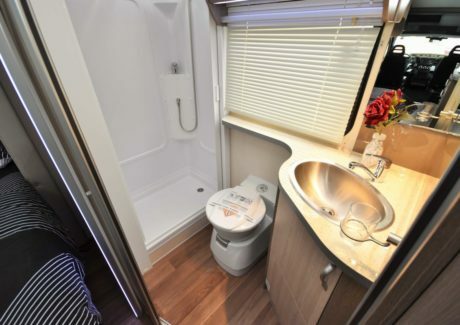 A midship bathroom has a toilet and handbasin on one side with a shower on the other and the door to the bathroom can close off the bedroom area for some added privacy. 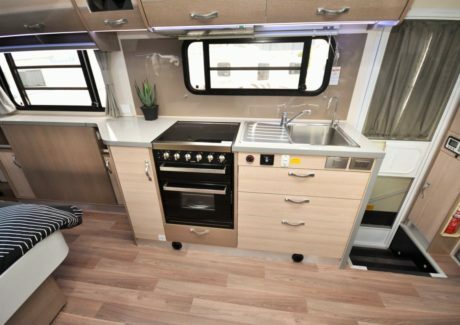 Trendy curves throughout, the kitchen flows with internal grace with a round stainless steel sink, 3 burner gas cook top, large automated fridge and convection microwave all designed to tantalise your culinary instincts. 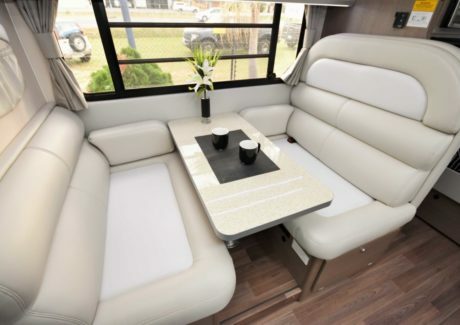 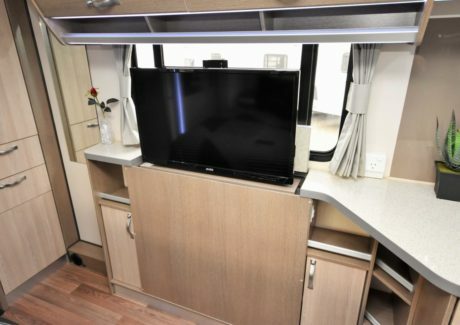 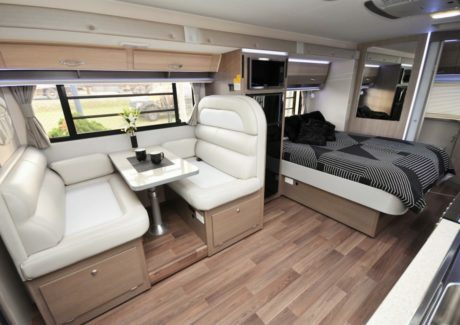 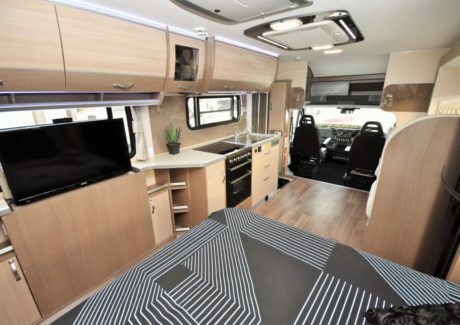 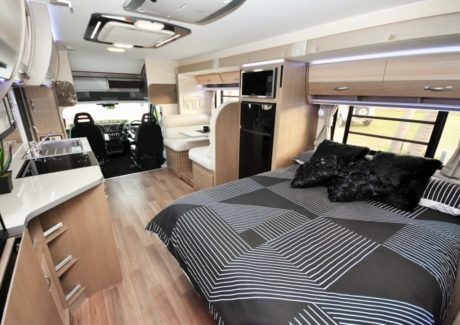 So sleekly seductive inside and out, the eye catching Eyre is the lowest profile motorhome on the market. 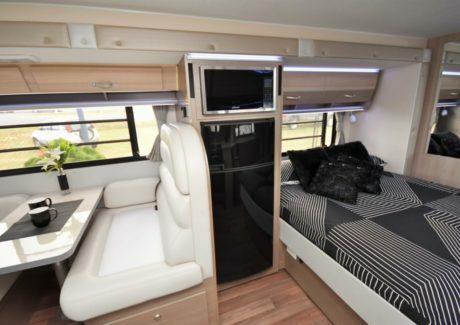 Oozing with luxury styling, the Eyre makes every trip an indulgence and storage under the carport a breeze. 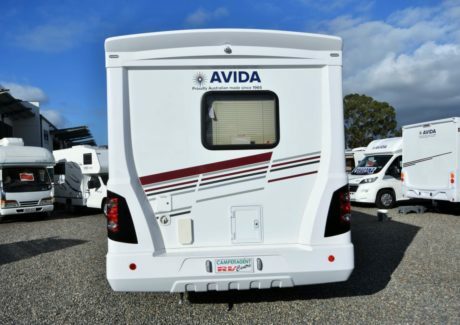 This slide out model is available to order now from $149,990 plus on road costs in SA so it’s $156,940 driveaway.